Simon T. Budd started a direct delivery milk service from his family farm in Mifflinville, Ohio. Today, it is located in Northeast Columbus near the intersection of Cleveland Ave. and Agler Rd. 1st Day of Sales: 10 quarts of milk for 60 cents. Simon Budd (born 1877) moved the business (deemed “S.T. Budd Dairy Company”) to a new plant at 1390 Wesley Ave.
Production and delivery capacity increased to 60 gallons per day. Budd Dairy Company had the only sanitary refrigerated milk wagon in the country. On December 7, 1916, the Budd Dairy Building and plant opened in the Italian Village on Fourth St. between Fourth Ave. and Detroit. At that point of time, the dairy company had the most modern features of a milk processing plant. The building was 70′ wide and 150′ long with two stories and a full basement. It had red brick with black mortar and a terra cotta façade. Budd’s Assembly Hall sponsored some of the first “radio dance” events in Columbus with KDKA broadcasts from Pittsburgh. Milk came through the site daily by train and truck delivery. Milk production increased even more to 900 gallons per day with 20 wagons for delivery. The building expanded to accommodate more garages for horse drawn wagons and vehicles. By 1925, the company increased sales volume to 3,000 gallons per day. All of which was delivered by 40 milk wagons. Capacity of the plant was up to 9,000 gallons per day. Columbus population grew to 45,000 families in 1925. Budd Dairy Company delivered to 25 percent of this population. This amounted to roughly 11,000 families per week. After 31 years in business, the company had never gone a day without providing service or closing for any reason. Budd Dairy Company services grew with 41 horse drawn wagons, electric wagons and gas trucks. The company built a garage/barn that was 100′ wide and 140′ long on the back of the property. At this time, a charging plant was added to the structure for electric vehicles. Budd became the first company in the United States to use electric vehicles for milk delivery. 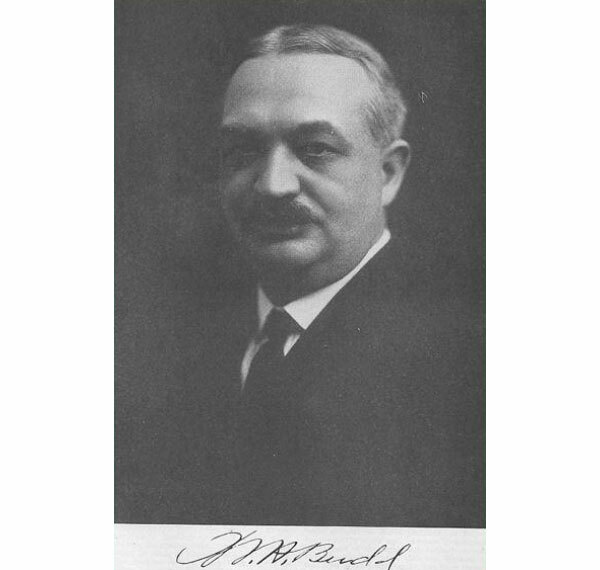 William H. Budd sold the Budd Dairy Company to Hamilton Milk Co. of Columbus, Ohio. At the time, it was was a subsidiary of Borden Dairy Co., a national company. 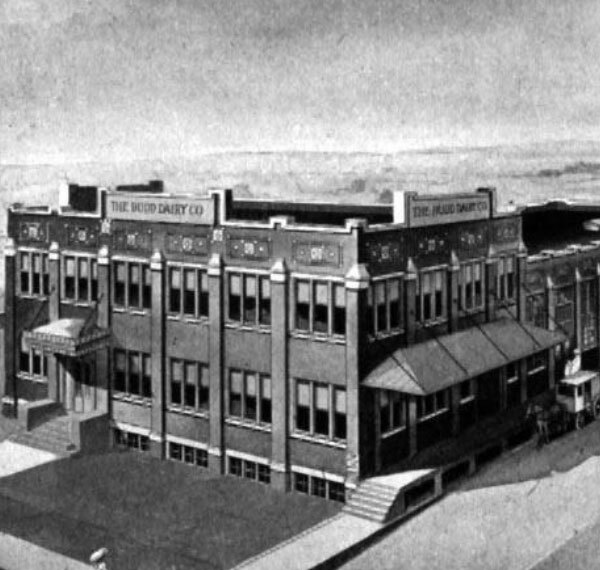 Hamilton Milk Co. processed and delivered milk from the plant and added garage spaces, including spots across Fourth St. (now Seventh Son Brewing Co.) William H. Budd continued on to start two more companies – Budd Ranney Manufacturing Company (later purchased by Denison Motor Co. of Delaware, Ohio) and Safety Wire, Gas, & Globe Company. Borden Dairy Company bought out Hamilton Milk Co. and Borden processed and delivered milk in the building from 1934 until 1967. The last shipment of milk was processed in the building.